AOL Europe has acquired the video distribution network goviral. goviral distribute branded video content across the Internet for some of the world’s largest and most esteemed brands, media agencies, creative agencies, and content producers. The transaction will further strengthen AOL’s video offerings in Europe and ultimately North America and will deliver further scale, placing it in pole position to expand its reach internationally, engage new highly targeted consumer audiences and serve its advertising partners. AOL Inc. has completed the purchase of goviral A/S (“goviral”) for $74.1 million. In addition, $22.6 million of consideration will be deferred and paid over two years following completion. goviral is set to join other strategic acquisitions made by AOL in 2010 including StudioNow, 5min Media, TechCrunch, Thing Labs, Pictela and most recently, about.me. IPTV growth will be supported by high-speed broadband network and interactive applications, says RNCOS in its latest research report. With the expansion of broadband, Internet Protocol TV, or IPTV, has the potential to cause a paradigm shift in telecommunication services, and service providers, especially telecom operators, have a great opportunity to increase customer Average Revenue per User. According to our research report “Global IPTV Market Forecast to 2014”, will rise to around 106 Million in 2014, expanding at a CAGR of around 24% during 2011-2014. Continuous improvement in the speed of broadband and availability of interactive applications will play a crucial role in the expansion of IPTV market around the globe. Opera Software announces that its newly-released Opera Devices SDK 2.9 will have out-of-the-box support on Broadcom's BCM7420 set-top-box SoC platform. This latest browser has been integrated with Broadcom’s flexible set-top box API (application programming interface), providing a common Opera porting environment across a broad range of cable, satellite and IP set-top-box SoCs. These devices include current generation products such as the BCM7400, BCM7405, and BCM7335 and next-generation 40nm devices such as the BCM7231 and BCM7425. Exterity announces the global launch of its new AvediaPlayer receiver. The r9210 offers versatility, control and convenience when connecting TV and AV displays to an organisation’s Local Area Network for live and on-demand access to TV and video streams. The r9210 has been designed to integrate with new and legacy equipment and is easily integrated with specialist equipment that does not rely solely on the standard HDMI connection. Research and Markets has announced the addition of the "IPTV Global Forecast 2010 to 2014 - Semiannual IPTV Global Forecast Report - Edition 2" report to their offering. The December 2010 IPTV Global Forecast 2010 to 2014 is the latest revision of the earlier edition published by MRG, Inc. in June 2010. It incorporates the most recent information on current IPTV deployments around the world, as well a forecast for IPTV subscribers, service revenue, and system revenue from 2010 to 2014. Verizon added 197,000 net new FiOS Internet customers and 182,000 net new customers. By year-end, Verizon had 4.1 million FiOS Internet and 3.5 million FiOS TV customers. FiOS Internet penetration (customers as a percentage of potential customers) was 31.9 percent by the end of the quarter, with the product available for sale to 12.8 million premises. This compares with 28.3 percent and 11.6 million, respectively, at year-end 2009. Preliminary results from the IMS Research study IPTV: A Global Market Analysis – 2011 Edition, reveal that the IPTV subscriber base in the emerging BRIC markets exceeds 8 million subscribers for 2010, with China dominating the figure. A CAGR of 13% for BRIC is expected through the forecast period, which ends in 2015. Open IPTV Forum and Broadcast Mobile Convergence Forum are delighted to announce the plans to join forces and merge the activities of bmcoforum into the OIPF. This will result in a strong single entity with broad representation and influence across the fixed and mobile broadband industries, as the two bodies have each established a leading position in their respective spheres of activity. The merged activities will combine and optimize the resources and efforts of the leading organizations engaged in an effective standardization of mass market services and devices. GoBackTV is pleased to announce that systems integrator Goldfield Telecom has completed a rapid cable IPTV system installation at Citizens Telephone Cooperative, using GoBackTV’s patented GigaQAM IP. Citizens Telephone Cooperative is a member-owned telecommunications company, founded in 1914, and headquartered in Floyd, VA. 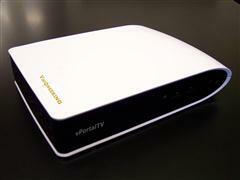 It offers telephone, broadband data, IPTV, cable IPTV, and analog cable services to consumers across several counties. Tivus announces the development of an advanced, Internet-based in-room video-on-demand system which enables hotel customers to select and control the available content and provide family-friendly guest entertainment. Tivus' unique business model generates income through advertising revenue and shares it with the hotel creating a significant new revenue stream. Considering the near 40% decline in hotel pay-per-view revenues over the past decade, Tivus leads the way in ad-based, revenue-sharing HD IPTV hotel entertainment. Opera Software announces to deliver its world-class browser on Sony BRAVIA televisions and Blu-ray Disc players. Opera aims to deliver more “lean-forward”, interactive components to connected home users by offering Opera’s solution to Sony’s state-of-the-art devices. The Opera Devices Software Developer Kit is the cross-platform, standards-based backbone of Opera for connected TVs and Blu-ray Disc players. As a robust, open platform for creating web-standards-based solutions, Opera Devices SDK forms the ideal foundation for developing full web browsers and user interfaces. Opera brings customization and ease of content distribution to global markets by enabling the delivery of web applications, widgets, full web browsing and emerging standards such as HTML5, HbbTV and OIPF. xplace uses Teracue MC-SCREEN encoders to distribute digital signage advertising signals in HD quality on hundreds of LCD and plasma screens. xplace's newest product is currently installed in the TV departments of the Dutch Media-Saturn stores: Instore-TV via IP-TV. It provides digital signage on all available LCD and TV displays. In addition, live TV and videos on demand can be played on all TV equipment in highest HD quality. This is done by using a video distribution system based on an IP network. Thus a single live video stream can be provided on any number of devices.